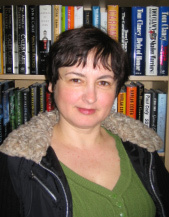 President Marciana Popescu, MSW, is Associate Professor of Social Work at Fordham University. Dr. Popescu’s work initially focused on social policy and comparative policy analysis. She worked as a consultant with UNICEF in Romania on revising existing policies on family violence from 1998-2000. In 2000, Dr. Popescu was part of a research team evaluating the country’s social protection system. For the past 12 years, she has taught at the undergraduate and graduate levels in Social Work programs in Romania and in the U.S.
Board Member Jacques is a life and career coach, workshop leader and public speaker. Certified by New York University as a coach, Jacques works with clients to achieve personal and professional satisfaction and performance. During a 20-year career in the Hospitality Industry, he mentored and coached hundreds of employees, facilitating positive change for organizations and individuals.Jacques works with schools, community projects and small businesses, specializing in self-directed learning in small groups. He is currently writing a book on the realization of our potential. Board Member Jeff Faria has been one of the first and the most active local supporters of Symposia. His knowledge of local life and history and his commitment to community values have been a great support in shaping Symposia’s mission. Board Member Sabin Popescu finished a Master in Business Administration at Andrews Universty and he is currently working for Citygroup in New York. Project Director Corneliu Rusu was born in Romania and moved to United States in 1999. He finished a Master of Arts in Religion in UK and a Master in Social work at Andrews Universty, Michigan. 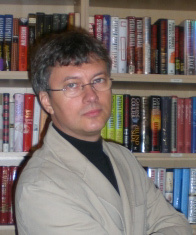 In 2001 Corneliu moved to Hoboken NJ and developed the Symposia Community Bookstore.. Bookstore Manager Carmen Rusu finished a Master in Education in UK and she taught college level English in Romania. Since 2001 she bas been working as a manager of the Symposia Community Bookstore.Carmen and Corneliu have two children, Theo and Ioana.